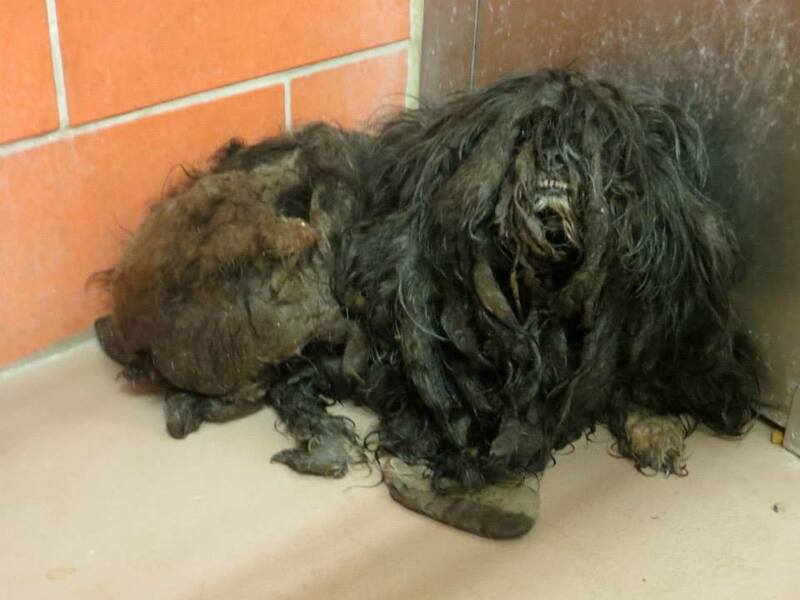 From a clump of pungent, urine soaked matted fur, surfaced a beautiful dog named Ellen. She needs a forever home. 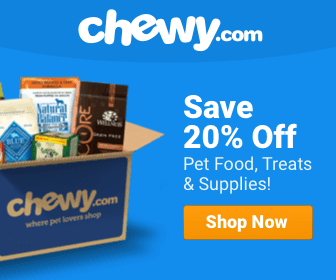 On July 13, 2014, Chicago based Trio Animal Foundation (TAF) rescued a dog in need from an open access shelter, and a beautiful dog surfaced from under a pile of fur, built after years of neglect. The poor dog not only lived weighed down by clusters of its own feces and urine clumped in its fur, it also had flies and gnats swarming its tiny little body. TAF enlisted the help of a veteran groomer, and for more than an hour, the pet professional worked to free the canine from its fur jail. 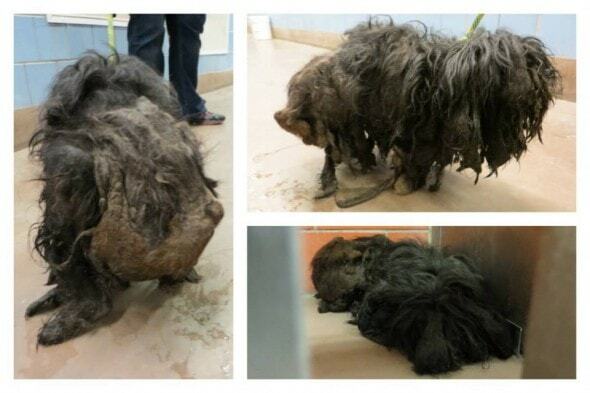 “Within the first ten minutes we found out that our matted pup was a girl,” posted TAF. They named her Ellen and discovered the pup was more than grateful to finally feel a loving hand on her body. Her heavy matted coat weight a total of 2 lbs. As soon as she was free of it, she was given a bath, a collar, harness, leash and a few toys. A veterinarian examined her and vaccinated her, and as soon as she receives a clean bill of health she will be spayed. A few days later she met her foster mom and now lives in a comfortable and loving home. She has three foster brothers and a sister and wishes to some day find a forever home of her own. If you are interested in adopting Ellen fill out an adoption application at www.projectrescuechicago.org. For more information on Ellen, visit TAF’s website or Facebook page. This poor dog was at a SHELTER??? 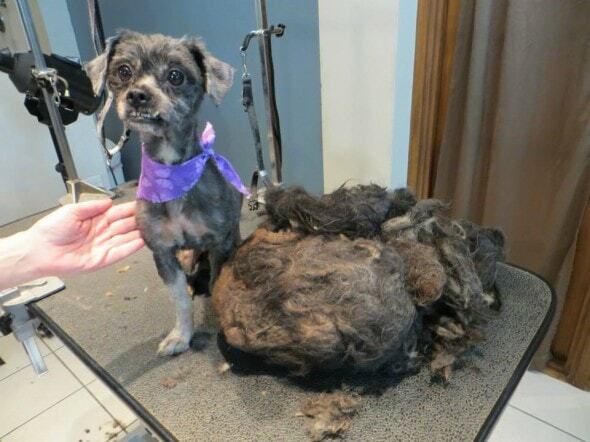 So…..shelter staff could not be bothered to clip and clean this pup? The dog was a stray. I saw the video yesterday of the rescue. not sure why they worded it like that. So did the dog get pulled from a shelter or was he picked up from the street?